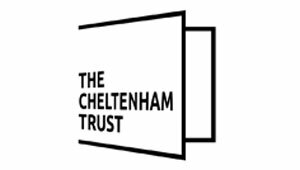 Marketing Cheltenham is a new marketing service led by Cheltenham Borough Council, in collaboration with Cheltenham BID and the Cheltenham Tourism Partnership. The organisation will initially take forward the ‘five year plan to grow Cheltenham’s visitor economy’, however it is expected to evolve to support inward investment and other economic development needs of Cheltenham Borough Council. The plans within the strategy have been agreed with the tourism partnership which includes organisations representing retail, hospitality and the cultural sector. Marketing Cheltenham will be managed by Kelly Ballard an experienced Destination Marketer. APT marketing have been recruited to support the marketing delivery and development of a membership scheme for businesses within the town until March 2019, when the operation will then be managed by a new in-house team. Watch the below video featuring Marketing Cheltenham Manager, Kelly Ballard to find out more about our exciting plans. With thanks to Cheltenham Chamber of Commerce.